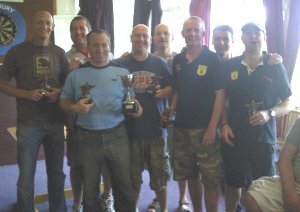 On Sunday, Town's Veterans secured their first ever trophy in the annual Veteran's 5-a-side tournament at The Bury. Buntingford entered two sides, an A and a B; it was the 'A Team' who managed to get through to the final, beating Littlington Vets by 3 goals to nil. Congratulations lads - hopefully the first of many successes this season!